omething happened to KISS before they re-donned the makeup in 1996 – they grew up. 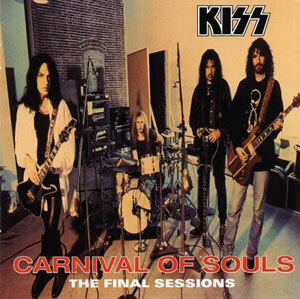 Their 17th studio album, Carnival Of Souls, displays a ferocious maturity, unmatched by any KISS album to date. A sweeping statement to be sure, especially pertaining to a band whose career has lasted longer than fully half their fan-base’s lifetimes. But I choose my description carefully: “maturity” being the key word. No more lyrics rooted in pawdying and pussying – Abandon All Innocence Ye Who Enter: evocative themes abound, as varied as lost youth and suicide, paternal dedication, false religion, concrete jungle nights, introspective emptiness… a regular carnival of soul! Standout tracks include: the somehow-nostalgic Childhood’s End, Paul Stanley’s dedication to his son, I Will Be There, the rumbling, tumbling Jungle, the doomsaying It Never Goes Away, the cello-tinged, jagged-beaten I Confess – but seriously, they’re all winners. KISS with producer Toby Wright. Gene Simmons’ and Stanley’s songwriting is at a peak they will probably never attain again, ensconced as they now are in the “nostalgia” game, till world’s end we presume. 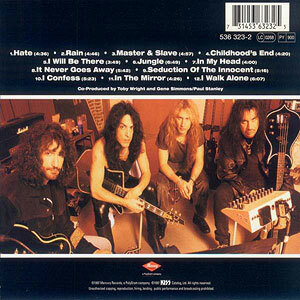 Drummer Eric Singer and lead guitarist Bruce Kulick are at long last entrenched musically as Band Members, and add volumes to Gene and Paul’s dynamism, Kulick carving memorable Frehley-ish licks to Singer’s succinct, whiplash pummeling (one of the few drummers who can pull off double-kick with taste and finesse!). A tragedy that these two musicians would be lost to the makeup craze (- at least Singer is back in the fold, lending his awe-inspiring limbs to The Cat’s prowess). Of course I can appreciate the wild nostalgia of youth and the “magic” that certain periods in history evoke, but at face value, this album’s songwriting, performance and production are unequaled in the KISS oeuvre. Sure, I’d be as inclined as the next Starchild to spin Strutter over In The Mirror – but the two songs should not even stand side by side on the above aspects, separated as they are by over two decades of personal growth, loss, career swoons and startling amounts of puss-in-boots. 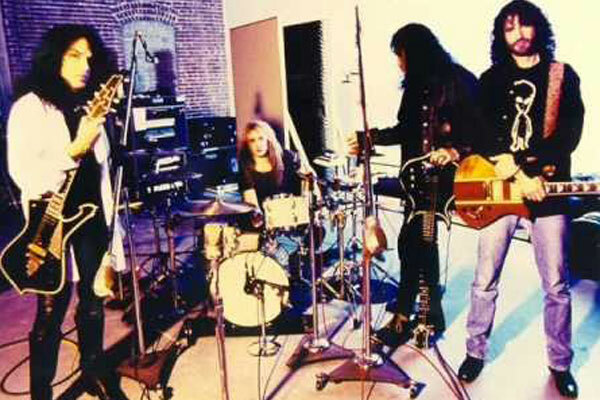 Due to unfortunate circumstances of politics and marketing, though Carnival Of Souls was recorded in 1995, its release was staved off until 1997, when the Reunion momentum was well underway. It made KISS look confused; it confused KISS fans. And any shelved album always casts doubts on that album’s intrinsic worth. I meet fans even today who are debating on whether to purchase this album. hell, even Springsteen ripped off 1979’s I Was Made For Lovin’ You with 2014’s Outlaw Pete! … so KISS themselves had no call to ape any genre or “sound” themselves. Yet Stanley and Simmons saw that grunge trend and were working towards it like the chameleons they are, until— whoops, Reunion Apocalypse! Portrait of a nice guy finishing last. 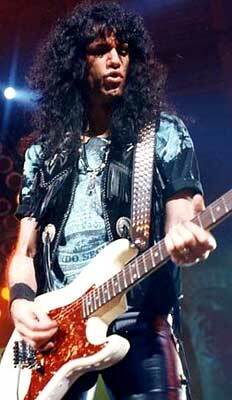 Poor Bruce Kulick! He did everything right – and still got screwed! Ace Frehley was unreliable, a drunk, uninterested in the musical direction of KISS – and got kicked out of the band. Bruce Kulick was reliable, sober, and fulfilled his musical job without question – and STILL got kicked out of the band! What’s a girl to do?! Genuinely sorry for the guy. In an interview, he remarks he always felt his time was limited, because everywhere he went with KISS, the specter of The Makeup always shadowed him. He would tell someone he was in KISS and would invariably get asked, “Which makeup did you wear?” Then there was the fact that for many youngsters, Kulick – not Frehley or anyone else! – was the “original” guitarist in KISS, because he was the first one they were exposed to! They grew up with No Makeup Kulick and suddenly there are these “impostors” (how ironic!) taking over from their favorite guitarist?! For a reunion?! With makeup?! When did KISS ever break up? 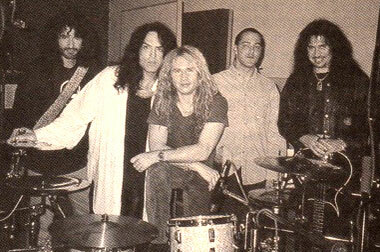 POST-2000 [after Peter Criss and Ace Frehley are once again sacked/ resign/ throw hissy-fits]: Kulick states unequivocally and without animus, KISS never asked him to don the Spaceman makeup and rejoin the band, even though Eric Singer rejoined in Catman makeup. KISS instead hired their trusty road manager Tommy Thayer (who knew Ace’s solos handily from being “Ace” in his own KISS cover band, and who was always on standby with his own Spaceman costume and makeup whenever Ace ran late or threw a hissy fit), who would eventually replace Ace permanently around the time Ace started to resemble a baked potato with legs. Thus, Kulick would go on to play for Grand Funk Railroad (since 2000) and a number of other projects, including solo albums. KISS fans (and the Ace- and Peter-LOONIES) will forever speculate on What Might Have Been had Kulick donned the Replace Ace; at this point in his career though, for Bruce, sadly, after Carnival Of Souls, the carnival was over. Released: Oct 1997, Mercury Records. Produced by: Toby Wright, Gene Simmons, Paul Stanley. Scott Van Zen, Curtis Cuomo, Jaime St. James, Ken Tamplin. by Jon Dunmore © 11 Nov 2005.